Holy Chukarmole (stay tuned for a new recipe)! 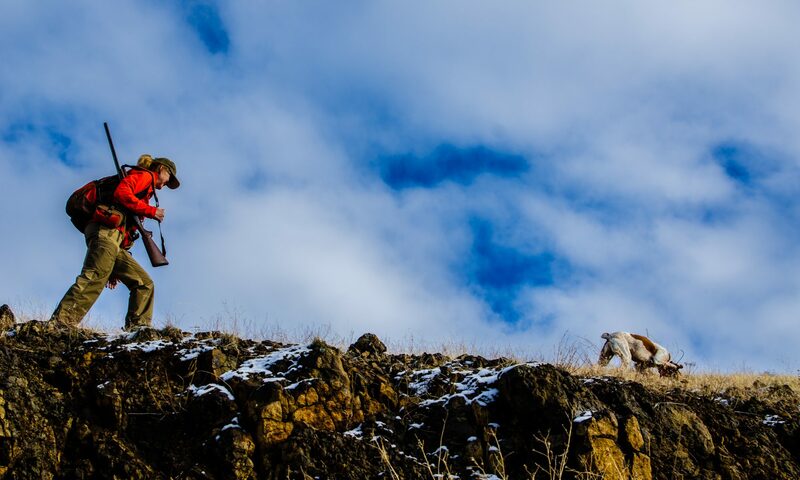 Who knew the chukar hunting community was so diverse as to make it downright like the rest of the world? All along I was under the impression that to be a chukar hunter meant that you were beyond the pale of unethical, uncivil, un-whatever behavior. After all, to be a real chukar hunter means you have to have the lung capacity and cardiovascular superiority that corrolates higher on linear regressions to posit higher level brain function. How drastically has my bubble burst? As if that bubble-bursting weren’t enough, quick in the wake of this horrific discovery of the chukar-hunting community’s normalcy, I get a comment on THIS blog from someone taking a rather profane exception to another reader’s comment — tongue-in-cheek perhaps, or something else — which I debated on approving because it was a bit off-color from what I’m used to seeing. Jesus. Hotflash (and I’m not menopausing!). Cool IT, please. And if you want to troll on this blog, please don’t. It never was my intention to provide a forum for that kind of Trumpish behavior (no offense to any supporters of the president-elect, but really: this should be a space for civil discourse). I’m still trying to get my head around the weather, what the right thing to do is if your chukar hunting jones just ain’t gettin’ satisfied as the calendar heads to that lonely last day of January and you KNOW you have got to make it at least until September 1st with some seriously pent-up hounds chomping at the bit and lots of other stuff that will no doubt make you very cranky. It’s a tough job, that long waiting period. Right? And every year, I swear, I fail miserably at doing that learnin’ I promise myself I’ll do about these fascinating partridges. But thanks to some very kind and civil readers (you know who you are) who have given me some great suggestions (“compensatory mortality” and “chukar populations Christensen” especially), I’m gonna do it. In the meantime, stay — or get yourself — cool. The freaky winter should help. The video you shared from some other guys, called “Chukar Hunt Eastern Oregon.” Here are a few thoughts. 1) Did you count the number of muzzle flashes – muzzles flashing across people? That says a lot. 2) The law says, and a hunter’s code of ethics says, if you have to resort to shooting from the road you’re poaching. Now, post a video in which you point a gun at your and your friend’s head over and over, then stoop to poaching and that says a lot about a person. Yep, we’re on the same page about all that. They took the video down. I wonder why. Thanks for your comment. off topic, but just wanted to say thanks for the vest reviews you posted…I picked up a centerfire vest back in dec. It was worth the money…great piece of gear…. Getting snowed out and having to hang it up/consider alternatives happens a fair bit where I like to chase chukar…they manage to come thru these tough winters generally ok….Too soon to know how this winter will shape up…Birds I recently got were covered in fat and some had green grass in their craws….I was the one complaining…-21 with some wind just doesn’t feel nice.. The world is full of dipshits….just do your own thing and own it – believe in it…and take it with you to your grave….the dipshits will never understand, and you don’t have enough time on this earth to show them/ explain to them that there’s a better road….will be that way long after we are gone..
thanks for keeping this blog up…I check in now and then..
Wow, yeah, that’s a bit chilly to be schlepping through snow in search of a devil bird. Great to hear yours had fat on them! And yes, I like my Centerfire vest more and more each time. I started out using the little backpack still attached…totally messed my shooting up, so crammed all my emergency supplies in the abundant waist pockets…. I am guessing it weighs close to 30# with just a modest amount of water onboard, but, can hardly tell I have that weight due to the superb design. what was your experience with the backpack? I started using the backpack late in the season when I wanted a better spot than in the bird pouch to put a rain shell. I honestly didn’t notice any difference in how the pack felt, with or without that addition. One thing I noticed, though, when looking at photos of me from behind was that the whole pack was riding a little lower than it looked like it should. So I raised it by shortening the shoulder straps. I’ve noticed others who wear this looking like they need to raise up the pack so it rides higher. Now, my pack rides on my hip bones and is even more comfortable, no matter how much weight I’m carrying. After the 9-mile hike, which ended with about 10 pounds of birds, I was tired, but had no soreness or any fatigue in my upper body. Dan, the Q5 owner, made it a big point when he sold me the Centerfire that I should take plenty of time to make sure it’s set up on my body correctly. I thought I had it right, but after half the season realized I needed to tweak it a little. I can see if you added the pack and the whole vest was riding too low that the little pack would throw your center of gravity off. Bob, as another season comes to an end I want to thank you for sharing your hunts, thoughts, opinions, humor and everything else. I’m not much of a commenter but I sure enjoy your blog and share your love of chukar hunting, dogs and the wild places we roam together. Thank you! Thanks for your nice words, Brett. I’ll bet the ODFW would enjoy watching that video. I had a disappointing thing happen today and I’m going to post on it. Thanks for the great blogs. Great minds think alike, Larry. I’d just sent ODFW the link to that video when I saw your comment! The You Tube video you refer to ( which I watched with disgust) ranks even above the disgusting soles who leave their mess from field dressed pheasants and quail laying in the parking area of public hunting areas. Seems as my dogs always want to feast before the hunt when I unload them. Would ruin my day if I allowed it. It looks like they took that video down. Randall, thanks for your comment. I don’t read (don’t have time) Upland Journal or any of the other sites you mention. I barely have time to do my blog posts (and read the “Other Birdy Blogs” in my blogroll). Until the comment in question (about “resembling that remark”), I had never received what I perceived to be a negative comment. Based on some other responses to this person’s comment, I see now that my blog is not immune to trolling, and thus this latest post about rancor. Luckily I can control the comments here, and will ensure that it’s all civil and legit; there are plenty of other places to engage in the type of BS we’re starting to see more frequently. I debated on whether to let that questionable comment stand, but went ahead half hoping that someone here would take issue with it. I’m not disappointed. hey bob, if you’re having trouble with trolls, may I suggest hiring Ezzy? He’s the worlds worst moderator and having him here would bring the trolls flocking to you site, if you’re seeking traffic and hits. No just kidding. like another post said, thanks for keeping it real. if I wanted non real faux bird hunting crap such as poems, essays and deep thoughts, the site Upland Drama would be my go to home page. Always wondered how he ate all those limits he shot every day. Guess I know now. You suppose he does this in all the other states he hunts in? what about this chukar hunting ground ? Ezzy? Oh dear lord! That crank should of been put out to pasture years ago, LOL.